An energy source can be considered as sustainable if it fulfills 3 demands of energy. The energy can be naturally replenished. Technology should improve energy efficiency. Sustainable Energy is one which is able to meet the growing demand of today’s people without compromising the demand of the people that would require it in future. All renewable energy sources like solar, wind, geothermal, hydropower, wave and tidal power are forms of sustainable energy. These energy sources have been here since centuries and are here to stay till life is available on earth. Renewable energy sources have low environmental impact, widely available and are naturally replenished. The energy of the world needs to grow with the maturity of our technology. 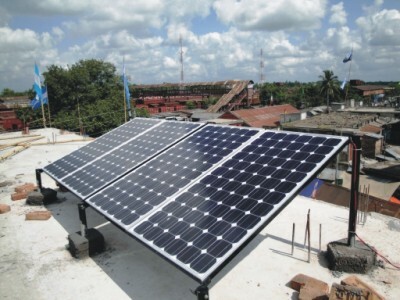 Changes in technology have given rise to many other alternative sources of energy which can be harnessed through various modern techniques. There is still plenty of work to be done. This is in relation to the population that is vastly using modern devices that add to the ever increasing energy need. For us to cope with this energy need, energy companies should exercise a lot of keenness when it comes to their efforts in making energy accessible and available to many people at all times. Fossil fuels have served mankind for over several years. They have made our life simple as we can always have whatever we want and whenever we want. The big question that stands now if how far these fossil fuels can be used considering the fact that they are going to vanish soon from our lives. Moreover, some serious environmental problems related to global warming and climate change have made people aware of the brutal consequences that they may have to face if a switch to green and clean energy is not made sooner. This led to use of alternative or renewable energy sources. Huge investments were made by different countries for development of wind farms, solar farms, dams along the rivers and tidal power stations. No doubt, dependency on fossil fuels has been reduced to some extent but it may take almost another decade to reduce our dependency to a considerable extent. Many times this fact is ignored and it has a tendency of people leaning towards fossil fuels. The fact is that fossil fuels cannot meet the world’s need for energy. It is something that if the world continues to depend more on will leave to irreparable consequences environmental and its consequences are too great to be ignored. Renewable energy projects require huge capital and so far have produced only small amount of world’s energy consumption. As said earlier, it will take almost a decade and some positive steps so that renewable energy has a major share in total energy output. Currently, this looks to be impossible as increasing cost of raw material, complex machinery and increasing cost of fossil fuels have slowed down the pace at which these renewable energy projects were to take off. The cost of fossil fuels, which are non-renewable energy source, is also included in generation of power through sources as large amount of energy is required to install, operate and maintain these huge power plants. Without them, these projects can never be built or maintained. The components and raw materials used in these projects are designed and manufactured in fossil fuelled factories and finished products are then transported to the power station by means of road or rail network. The large workforce that would be working there use vehicles like cars to travel to their workplace. Trucks loaded with big machines like earthmovers and turbines, small and complex components, generators, transformers, power cables and blades can be seen outside any such power station. Since these plants are located in remote areas, top notch people can be seen visiting these farms in their personal choppers. The point is that these projects many not be using fossil fuels directly but there are several indirect ways where enormous amount of fossil fuels are used to keep these renewable projects in working condition. Once the solar power plant, hydropower plant or wind farm is installed and commissioned, low amount of fossil fuel is required to perform maintenance, repair, adjust, replace or reset various spare parts. Here, continuous maintenance is required till the time that plant or farm is producing energy. If any major failure occurs due to failure of gearbox, turbines, transformer, generator, wind blade, solar panels or due to any natural calamity; the amount of fossil fuel used will be increased as it would require engineers to travel to the remote site and replace or repair the faulty component. In short, renewable energy is here to stay but the ongoing projects that are operating in remote areas and needs frequently maintenance might suffer due to decline in oil supply in future. The components used to make up these plants should be more long lived before they become unrepairable. Rising prices, increasing air pollution and scarcity of fuels have forced scientists to look for alternative fuel sources. 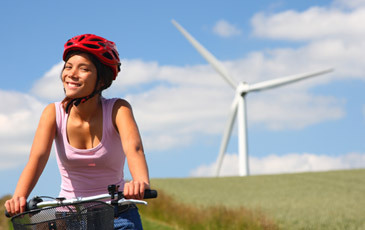 All energy sources which can be naturally replenished are considered to be renewable energy sources. Most of the times these two terms are used interchangeably. There is some sort of common belief that all renewable energy sources are sustainable and there is no difference between the two terms. However, this is not true. Renewable energy includes all those sources that do not cause any harm to environment and have minimal impact on the surrounding environment. 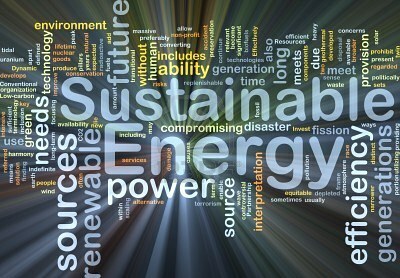 Sustainable is much more a wider term and includes all type of energy sources. Sources such as solar, wind, geothermal, hydropower, wave, tidal and hydrogen are renewable as well as sustainable since they have minimum impact on the environment whereas Nuclear energy or nuclear power is not considered as renewable but it is sustainable as it pollutes the environment. This is the only reason that it is said that all renewable energy sources are sustainable but all sustainable energy sources are not renewable. Even if you examine the oil exploration by many companies, there is the increasing industrialization to deal with. The ever growing number of industries and their associated energy consumption will; outweigh the energy being produced. This will result in catastrophic consequences coupled with shortages of energy, which has unimaginable consequences from food shortages, to fuel shortages just to mention a few. This is the kind of thing that has to be prevented. In order to do that, there is need to take account on the energy uses in the world today. We have to ensure that the energy being used meets our needs and not excessively being used even when we do not need it. This calls for exploration of other avenues of harnessing energy to cater for future energy needs. As much as fossil fuels take many years to produce, it will not be easy to renew these energy once they are depleted. This is why solar power is the most reliable energy sources and also very sustainable. Going by the fact that there has been solar power since time memorial, it therefore goes that tapping this energy sources will have a great advantage to our energy production and consumption. Solar has powered our homes during the day with its light. The only thing that needs to be done is that light to be converted to heat and the heat used to cater for our energy needs, which will simply meet the needs of everyone. It cannot be depleted and therefore it is a sustainable source of energy. The other thing is that solar power can comfortable cope with the energy needs of the world is effectively harnessed or tapped. This energy can run our industries and power our cars and homes among many other uses you can think of. It is therefore only convenient that you take all the necessary precautions to ensure that things are going on as needed. It is the best thing that has to be done to give up the effects that we desperately need. As a matter of fact, you can use the solar power to do anything you need that uses energy. You just have to have the right tools that can tap it and ensure that things are all going on smoothly as needed without any problems. This may require expert help if you cannot do the installation work. There are many companies that have specialized in this line of work and will be glad to assist. Previous articleWhat is Tidal Energy and How is Tidal Energy Converted into Electricity?